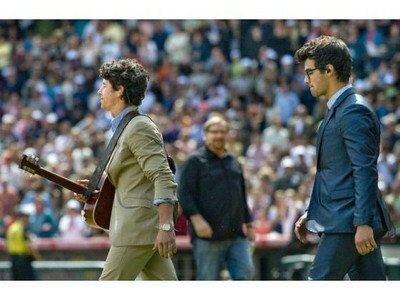 More JONAS filming pictures. Playing kickball pix @ JJP. Kevin told People: 'From the minute you walk into the promenade, because we're going to be playing amphitheaters during the summertime, it's going to feel like a whole other world. It's going to feel like you're going to camp. There's going to be things to do from the minute you walk in to the end of the night. 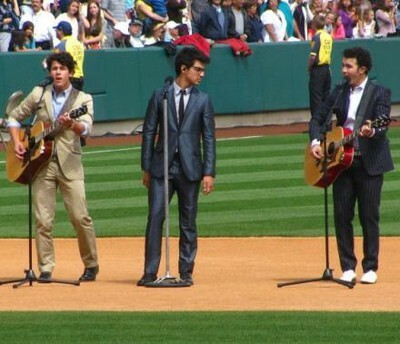 Jonas Brothers announced today a three continent summer concert tour with special guest Demi Lovato. The tour will combine spectacular production with unrivaled performances of both artist's hits as well as music from the Disney Channel Original Movie 'Camp Rock' and its highly anticipated sequel. Adding to the excitement this summer, the tour will also feature appearances by their friends and costars from both 'Camp Rock' movies. The tour kicks off Tuesday, July 27 in Dallas, Texas, and will continue through out North America, Latin America and Europe throughout the Summer and Fall. Tickets go on sale beginning May 15. Check livenation.com and teamjonas.com for further information on the tour. Beginning Tuesday, May 11, fans will be able to access a 'Camp Rock' themed premium iTouch and iPhone app, which will also be optimized for the iPad, to buy concert tickets. Concert locations via Team Jonas! Europe: London, Manchester, Glasgow, Birmingham, Liverpool, Belgium, France, Switzerland, Italy & Spain. Mexico & South America: Mexico, Guatemala, Costa Rica, Peru & Argentina. NICK JONAS: "You Ruined My Life!" JoBros On Tour + Meet Them on the JONAS Set! Did you get a chance to listen to "Take Over with Ernie D" on Radio Disney last night? The Jonas Brothers broke so much news! 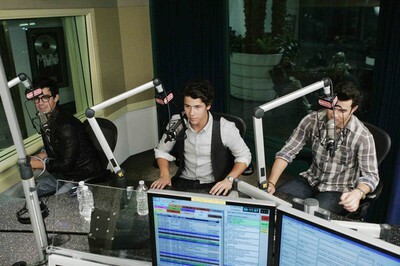 * About the new season of JONAS, Nick said, "We have a lot of cool guest stars and storylines. It's going to be the kind of thing where you need to watch week to week...We are getting to the last couple episodes of the season right now and it's getting very intense." WANT TO VISIT THE SET YOURSELF? Just enter Radio Disney's sweepstakes...CLICK HERE! FROM RADIO DISNEY: "Beginning April 17 through April 29, Radio Disney will give fans the chance to enter the 'Living The Dream with the Jonas Brothers Sweepstakes. One lucky grand prize winner will travel to Los Angeles to meet the Jonas Brothers on the set of JONAS. 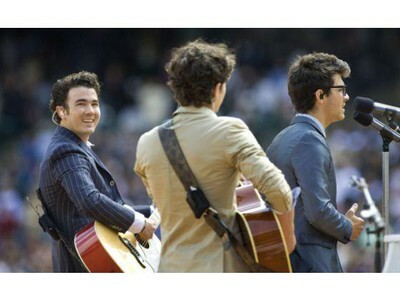 The winner will also get a signed guitar by Kevin, a drum set signed by Nick and a microphone signed by Joe. " 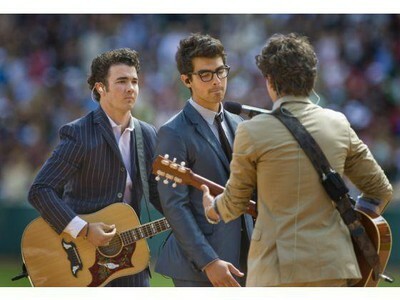 * "Hopefully, we'll see you at another concert soon," Kevin said, "because we might be going on tour this summer. Actually, I shouldn't even say 'might'...we are going back on tour this summer!" * "It's an exciting announcement we're getting ready to make. It will be unlike any tour we've ever done before and we're really looking forward to getting back out there with our fans." * The guys each revealed their fave songs from this summer's upcoming Camp Rock 2 The Final Jam Disney Channel Original Movie! 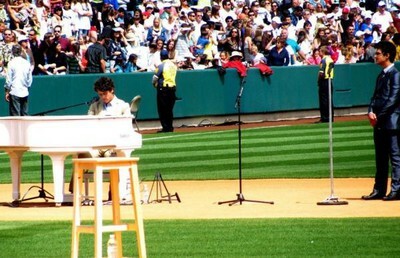 For Nick, it's "I Wouldn't Change a Thing" (a "Jemi" duet). Kevin said, "I'm a big fan of a song called 'Heart and Soul.' It's a real cool rock 'n' roll song...I can't wait to do it live!" 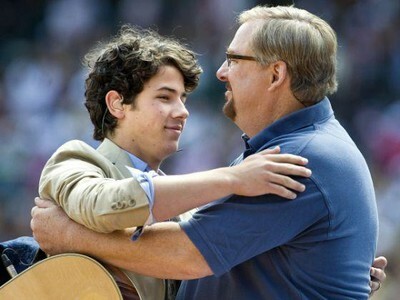 Joe also loves 'I Wouldn't Change a Thing,' but adds, "There is a song that Nick does, 'Introducing Me,' that I think is a great spotlight moment for him." Kevin thinks that Nick's song is "awesome. I have a feeling the girls are going to love that song." 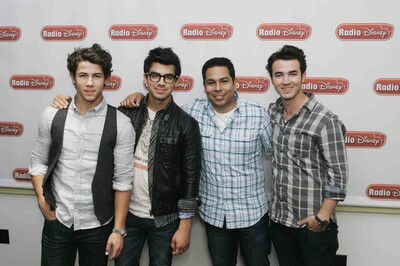 The guys will be heating up the Radio Disney airwaves TODAY, during Take Over with Ernie D, beginning 6pm ET/3pm PT. The guys will be chatting about the upcoming season premiere of JONAS, the summer premiere of Camp Rock 2 The Final Jam, and the TJ Martell Foundation Family Day fundraising event (where they will be honored)! Popstar! had the opportunity to hang with the guys in the studio for a bit and got them to spill some juicy deets about JONAS and Camp Rock 2. We have some adorable and hilarious vids (including a not-to-be-missed one from Nick!) from the visit so keep checking back! 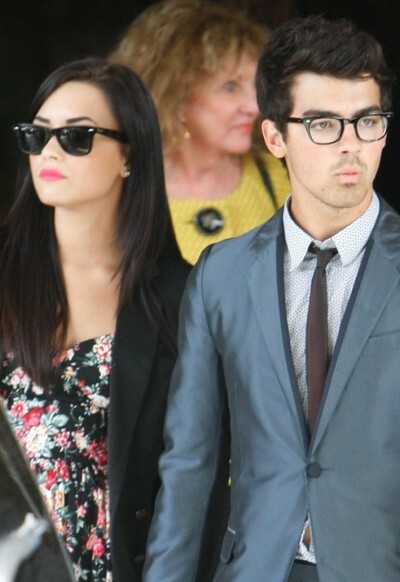 First up though, we just HAD to ask Joe about Demi—and all the fans who are totally supporting the couple! Check it out! 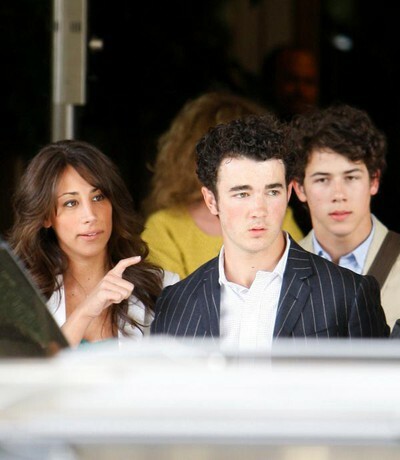 Jonas Brothers, Danielle Jonas, Demi Lovato leaving the Four Season Hotel in Los Angeles on Easter Sunday. 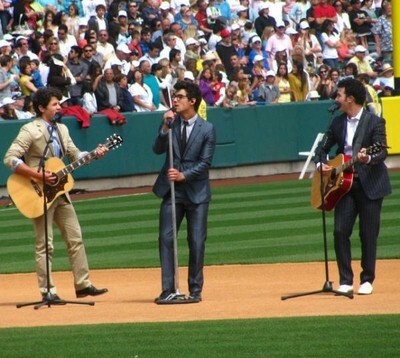 While Kevin and Joe brought their significant others, Nick did spent they day solo.